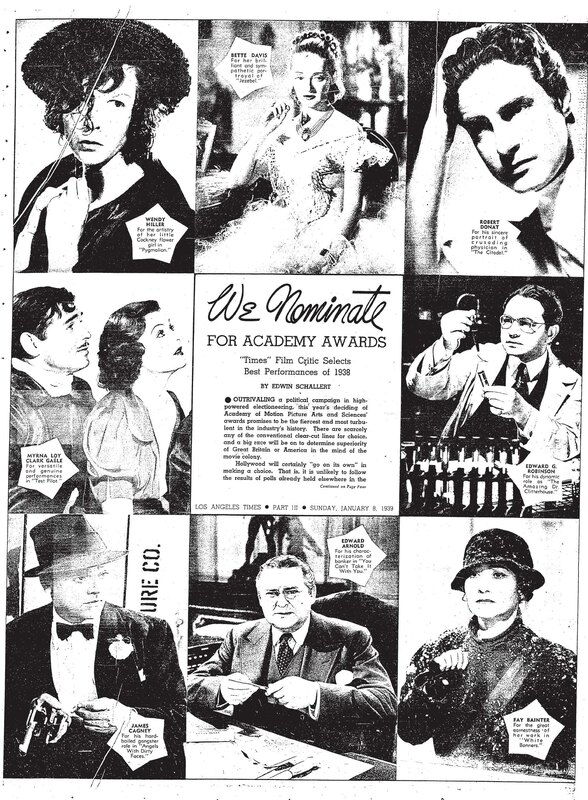 Jan. 8, 1939: The Times’ Edwin Schallert makes his Oscar predictions, seconding a “Warner landslide” published in The Times two weeks earlier with James Cagney (“Angel With Dirty Faces”) as best actor, Bette Davis (“Jezebel”) as best actress, Michael Curtiz (“Four Daughters”) as best director and “Adventures of Robin Hood” as best film..
Also, a look at the items that Sierra Club members use to mark their mountain climbs. 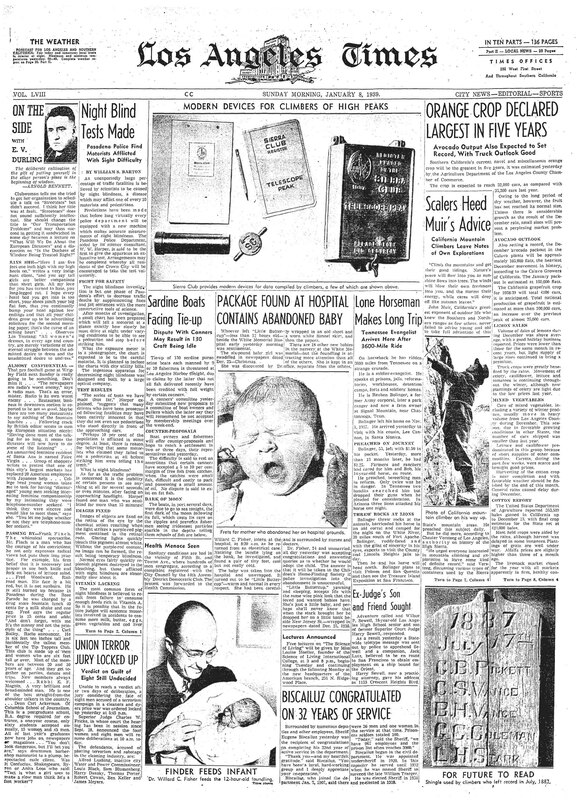 The column previously appeared on latimes.com in 2009 and is available via Archive.org. This entry was posted in 1939, Film, Hollywood, Sports and tagged 1939, film, hollywood, Sierra Club, Warner Bros.. Bookmark the permalink.